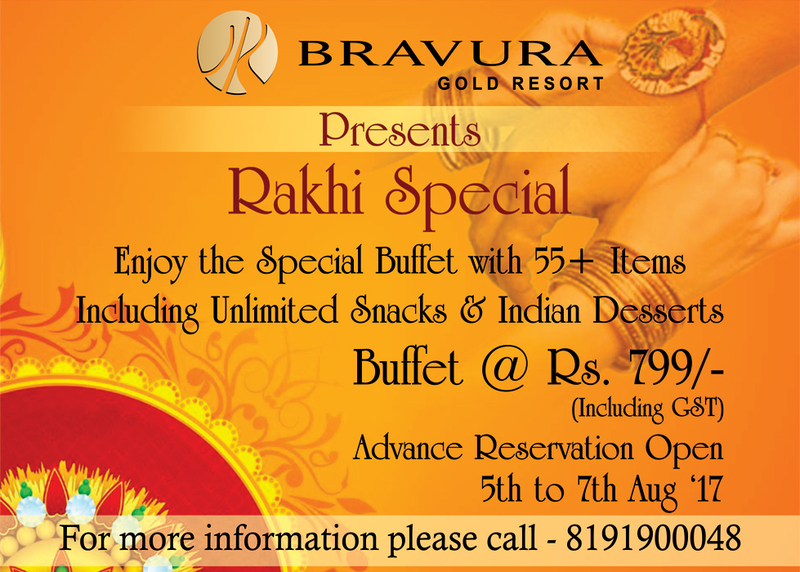 Bravura Gold Resort Presents Rakhi Special: Enjoy the Special Buffet with 55+ items including Unlimited Snacks & Indian Desserts, Buffet at just Rs. 799/- (Including GST). Advance Reservation Open.